The Mercedes-Benz G-Class or G-Wagen, short for Geländewagen (or cross-country vehicle), is a four-wheel drive vehicle / sport utility vehicle (SUV) produced by German automaker Mercedes-Benz. It was borne by proposals for a military vehicle in the early 1970s by the Shah Mohammad Reza Pahlavi of Iran, a major Daimler-Benz shareholder. 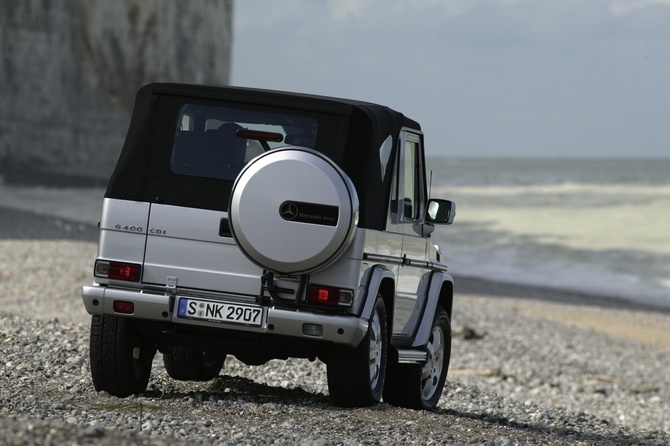 Developed in co-operation with the Austrian car manufacturer Steyr-Daimler-Puch, production of the G-Class began in 1979 with the 460 Series models. The G-Class has been sold under the Puch name in certain markets, and the Peugeot P4 is a variant made under license, with a Peugeot engine and other equipment. Mercedes-Benz secured military contracts for the vehicle in the late 1970s and offered a civilian version to the public in 1979. Designed to be a durable, reliable, and rugged off-roader, the G-wagen utilizes three fully locking differentials (one of the few vehicles sold in the U.S. to have such, along with the Jeep Wrangler Rubicon, Toyota 80-series Land Cruiser, Pinzgauer High Mobility All-Terrain Vehicle, and Mercedes-Benz Unimog). 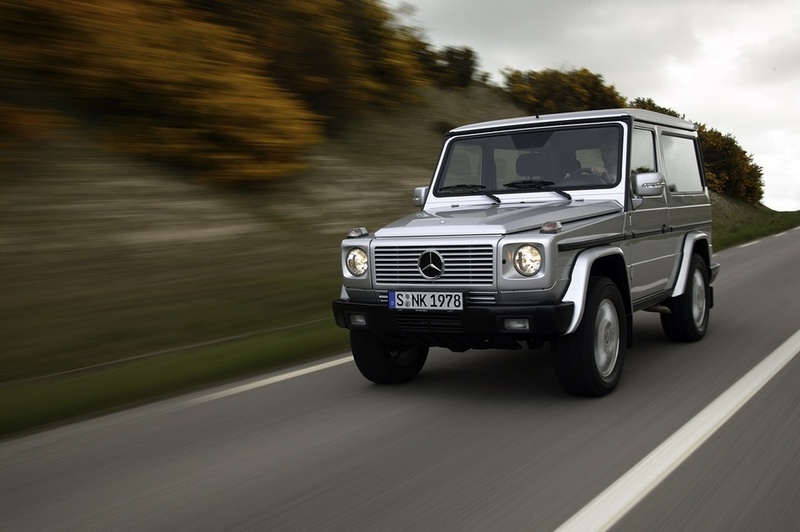 Among the engines offered in the G-Class for the 2004 model year is a 5.5-litre V8. 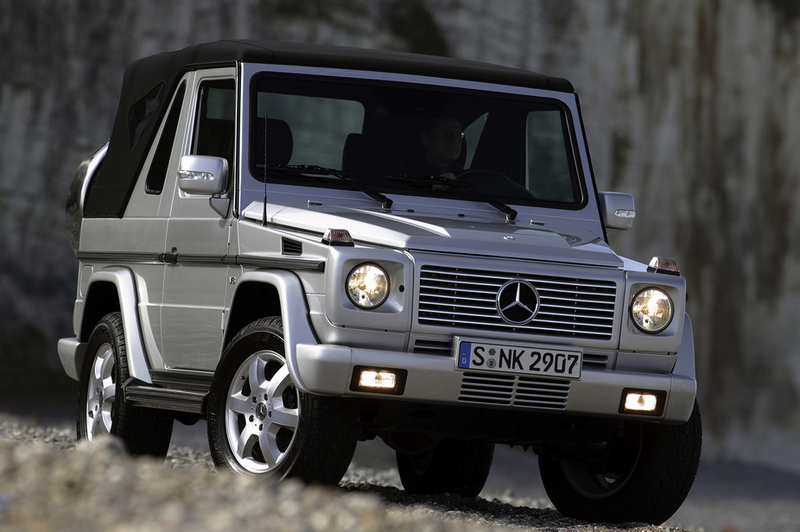 Marking its 25th anniversary, the 2005 Mercedes-Benz G55 AMG was relaunched as the G55 Kompressor or G55K and received a boost in power, thanks to a 5.5-liter, supercharged V8 developing 469hp (350kW) and 516lb·ft (700N·m). of torque.